Old saying says all ways lead to Rome. Many tourists have walked through the streets, visited different churches, ruins and museums. What about getting out the city during the height of the summer? The good news is you don’t have to go for an extra mile to change the scene. Don’t miss exploring the towns of Umbria, Lazio and Campania on your day trip to Rome. Many tourists perhaps fail to notice the great ruins of this Roman port town. It’s also known for its spectacular amphitheater, villas and interesting temples. The site is big and so you better have walked instead to get through most of the experience. It’s good to have a guide to help you to find interesting sites such as mithrae or pagan temples and synagogue, considered to be the oldest in Europe. Visiting Tivoli would give you amazing sights of waterfalls and renowned fountains of the gardens of Villa d’Este. For historians or anyone who loves Roman history, Tivoli is a great place since it is once a home of Roman Emperor Hadrian. Rome is abundant with stunning and accessible beaches. You can go to nearby beaches such as Ostia and Santa Marinella. 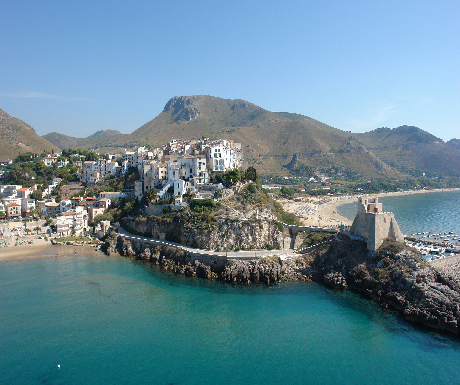 However the most beautiful is Sperlonga, which is a medieval town on the top of the cliff where you can find two sandy beaches. This can be a perfect place to beat the heat in Rome. Orvieto is located on a hill of volcanic rock and its alluring beauty is also attributed to great physical appearance of its cathedral. You can both explore the nostalgic alleyways and the underground tunnels under the town and enjoy a glass of local white wine and some typical local pasta with truffle also known as umbrichelli al tartufo.